Kirikor Bags - These handy, attractive bags are perfect for traveling with your fragile equipment and accessories in style. 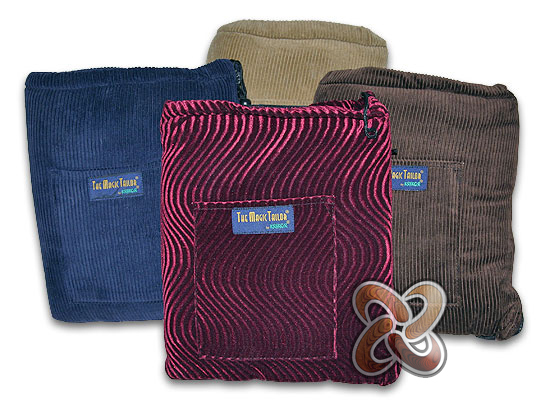 Hand stitched and high quality, our plush vaporizer storage bags are deeply padded for maximum protection and comfort when transporting your items. Also featured are one exterior and two interior pockets to keep smaller items safe from jostling around. Keep your vaporizer and accessories organized and protected. Save yourself the frustration of breaking equipment in transit! Our bags come in four colors and are sure to suit your taste. Protect your vaporizer with Krikor Bags! Inside Dimensions: 9" x 2"
Great Storage Bag for Your Vaporizer! Very well insulated, and I am loving my protection it gives to my piece .